Below you will find 56 of the best math resource websites available. Parents and teachers of children 3 to 23 who are looking for videos, games, worksheets, printables, lessons, tutorials, calculators, worksheet generators, activities or interactives will likely find what they are looking for. 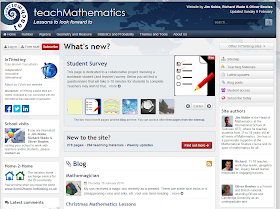 Teach Mathematics is a cool site for math teachers and students with lessons and activities aimed at helping students to improve their math skills. 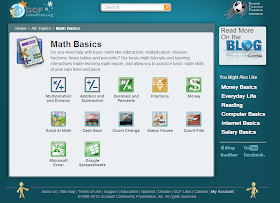 The math levels on this site seem targeted to 3rd grade to high school level learners.Whether you are teaching fractions, algebra, geometry, or statistics, then there are lessons and tools for you. The site has 15 pages of useful tools and materials that both teachers and students will enjoy. 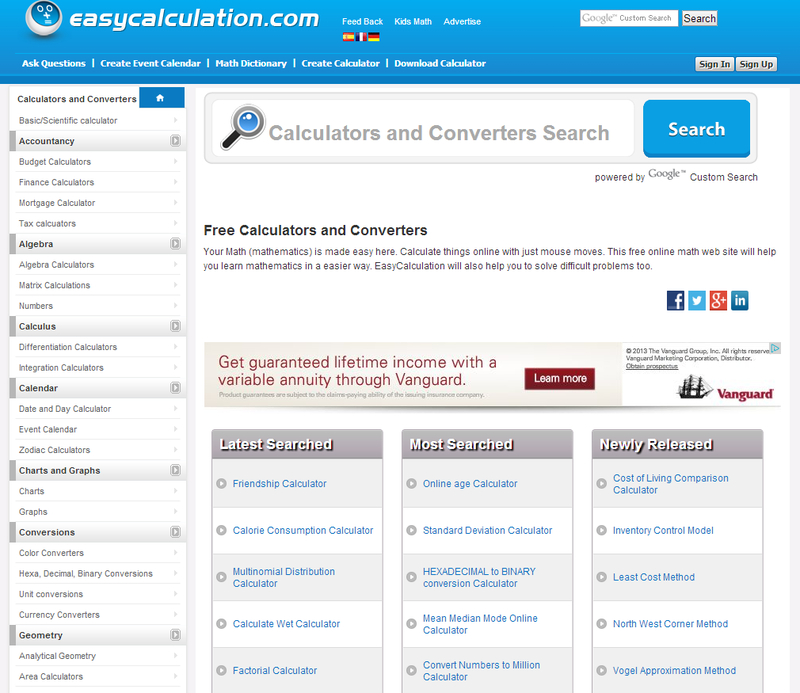 This site contains a huge collection of useful calculators for any math based situation. From addition to calculus to calculating mortgage payments, you can find it here. The site also has a tool to create graphs and charts, tools to convert measurement, and even a math glossary. You will also find health calculators, tools to help calculate dates, and even ways to perform math short cuts. In short, this site is overflowing with useful tools for school and beyond. i Practice Math is a free site that helps students to improve their math skills with lessons, online worksheets, and quizzes. The site is currently set up for students in grades 1 through 9 with materials for 10-12 in the works. Users can sign up individually or teachers can sign up and then add their students later. 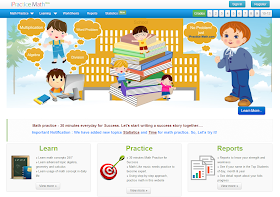 The site even allows teachers to generate reports to help monitor student progress. The site is categorized by topic and grade level for easy navigation. Brain Genie is extension of the CK-12 website and is based around improving math knowledge and skills. The site is intended for all grade levels and has thousands of lessons, games, and videos to guide students whether they are learning addition or pre-calculus. The site is free to join and will keep track of student progress and even provides reports, assignments, a gradebook, and awards. 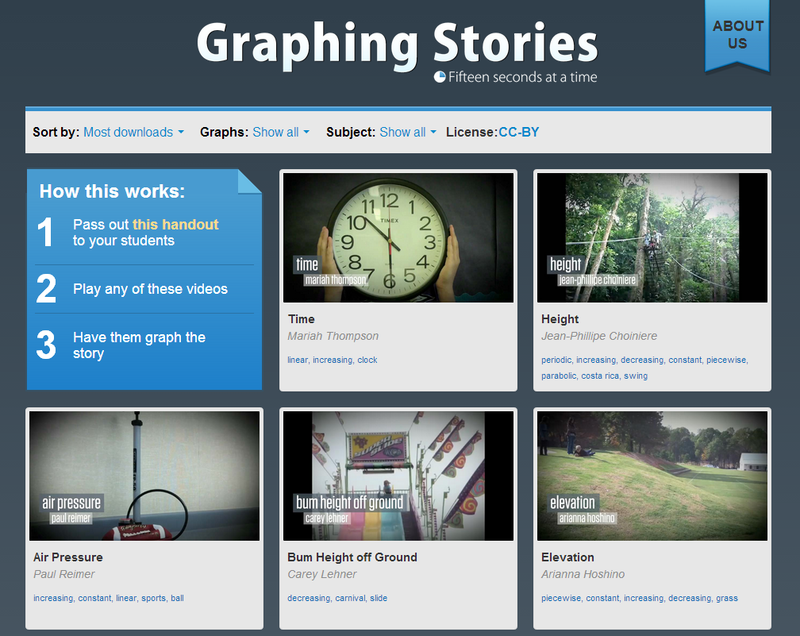 This site is a fantastic resource for students to use and teachers to share. 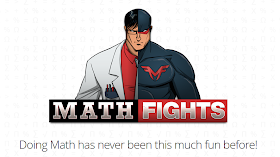 Math Fights is a very cool website where players duel one another with math as their weapon. You can choose from a variety of heroic or villainous looking avatars and then have the option of choosing your opponent or an opponent can be found for you. Each match consist of 5 math questions with a winner declared based on your answers and speed. 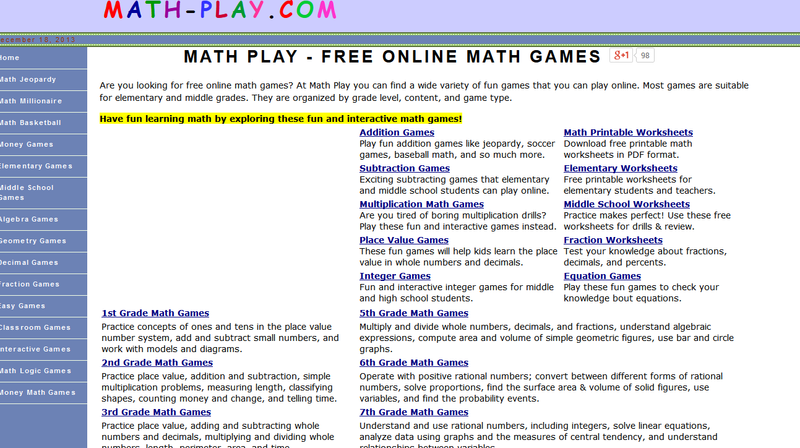 This site is a terrific way for students to practice their math skills while having a whole lot of fun. 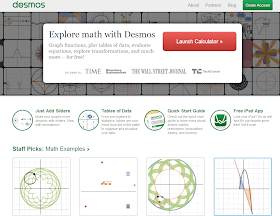 Desmos is an incredible online math tool that allows you to create amazing graphs with any data that you select. The process is made easier by using their sliders to adjust the data and watch the graph change. Only by exploring their website can you truly appreciate the possibilities that their powerful tools can achieve. When you are finished your final products can be printed, embedded or shared via email. 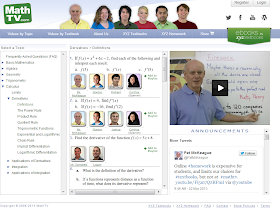 Math Vids offers video math tutorials by a variety of experts. Their lesson videos are screened for content and quality and are targeted toward middle school, high school and college level learners. 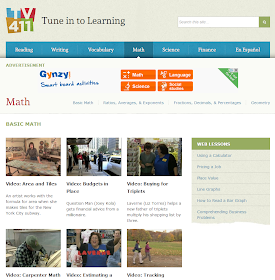 In addition to their videos, they also offer a section where students can practice their math skills. 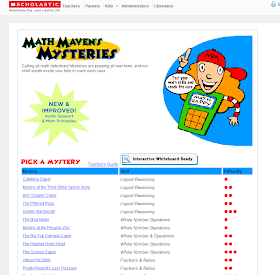 They also have an online problem solver and another area just for math fun. 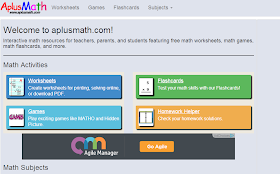 A-Plus Math offers a variety of resources to help students improve their math skills. You will find games, flashcards, and a variety of both printable and online worksheets. 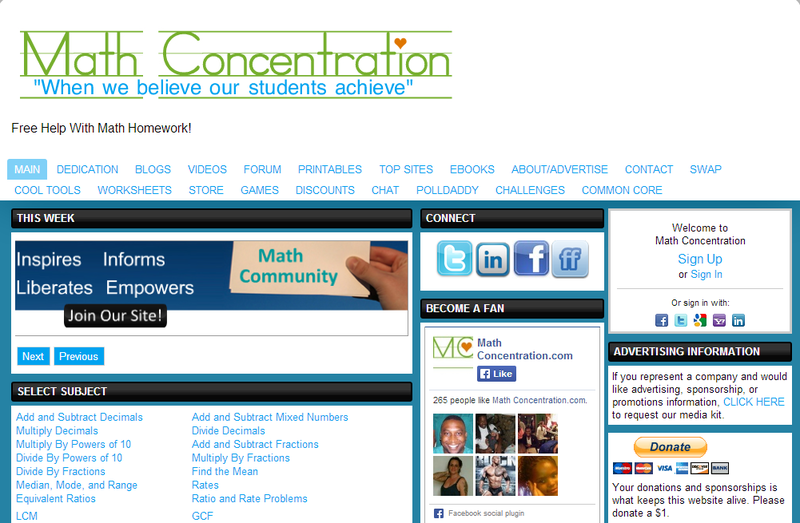 The site can help students with basic addition on up to geometry and algebra. 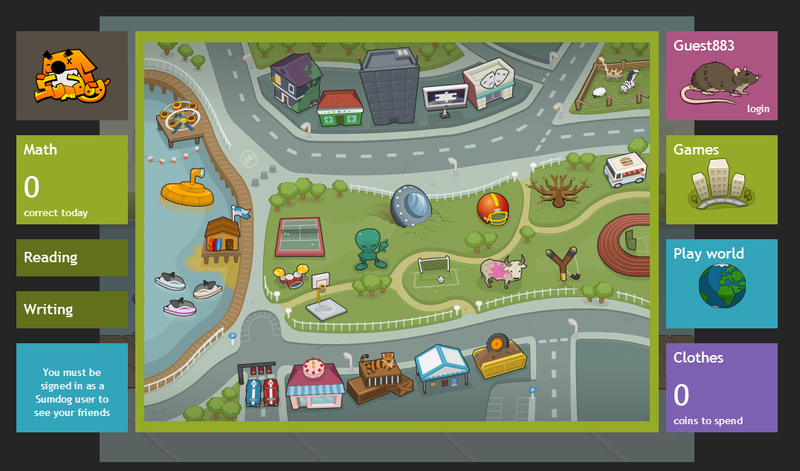 Knowledge Adventure offers math based games for children PreK - 6th grade. The fun math games on this site are a great way to give your child some extra math practice and they are free. 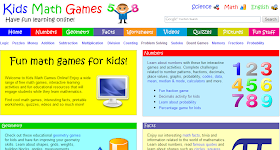 In addition to their math games, this site also has games for science, reading, spelling and more. They also offer free worksheets and lesson plans for these areas as well. Manga Math is designed for students between 7-16 year old but anyone with a desire to improve their mathematics ability can join. 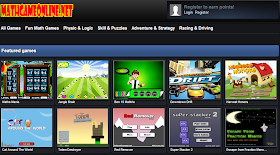 The site contains dozens of games that are free to play but paid memberships allow teachers to track their student's progress. 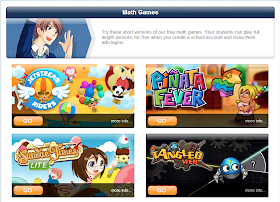 Games such as PEMDAS blaster and Sigma Prime, your students will enjoy the games found here. Here you will find over 100 games to choose from. The games can be searched by topic or by grade level and all games are aligned with the Common Core Curriculum. With games themed on popular subjects such as Star Wars and Deal or No Deal, you will likely find a game that your students will love and that will also help support them with their math skills. Johnnie's Math Fun is the sister site to Johnnie's Math Page which you will find later in this post. The site has over 500 games, most of which have a math based theme. 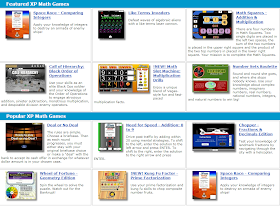 Your students could spend hours challenging themselves in this rich collection of math themes games. Turtle Diary is an educational website that offers a large selection educational content for young learners (Pre-k to 3rd grade) with over 1,000 individual learning activities plus 200 lesson plans. 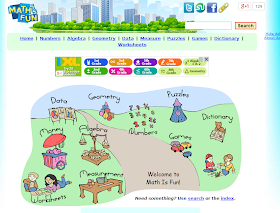 Their collection of math games make learning fun and easy. 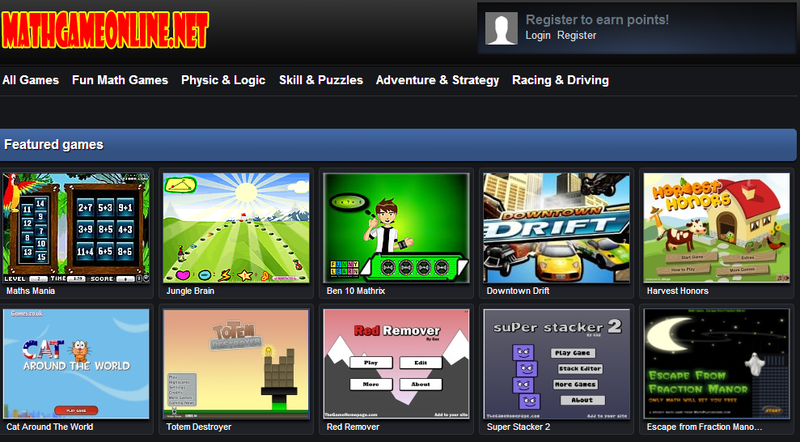 Once on the page just scroll down and the games are right there, sorted by grade level. 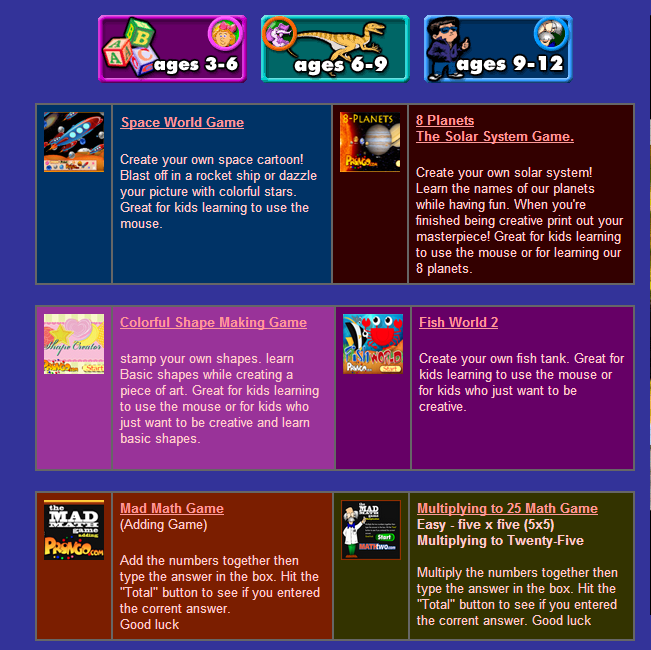 The site also offers games and activities for other areas such as science and ELA. 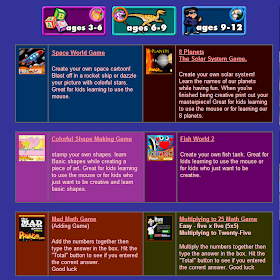 This cool website has three dozen math based games to choose from with a wide choice of themes. Their variety of games is wide enough to have something for just about any age group. In addition, the also have science based games, puzzles, strategy and others that are just for fun. Fun4theBrain is a game based math site for students who are learning addition, subtraction, multiplication, and division. There are dozens of fun math games to play and you can also find printable math worksheets as well. While the focus of the website is math, they also offer a small sampling of games and activities based science, ELA, and a few that are just for fun. Arcade Skill Builder features over 50 games designed to strengthen the math skills of students K-6. These fun and exciting games are sorted by topic or by grade and are free to play. Paid membership allows you to customize games for your students and generate reports on their progress. 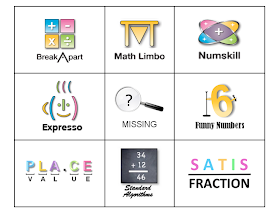 Here you will find 9 games that test the math and thinking skills of learners grades K-5. Along with the games Gregtangmath.com also has a large selection of worksheets, puzzles and games that can be downloaded and printed for classroom use. Prongo Games has a collection of learning games for children ages 3-12. The math games include a baseball challenge as well as a lemonade stand game. 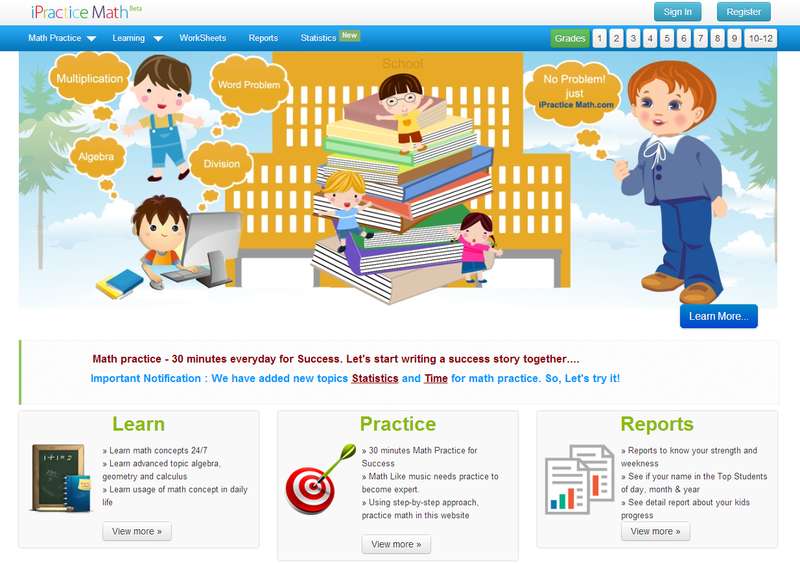 The site offers games in different areas such as science and spelling as well. The sites other features include e-cards, brain teasers and jokes. 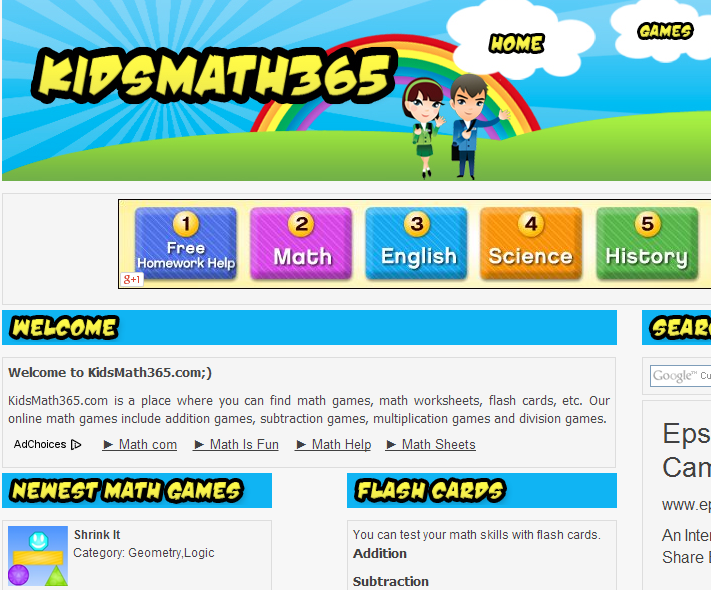 KidsMath365.com is a place where you can find math games, math worksheets, as well as flash cards. Their collection of over 30 online math games include addition games, subtraction games, multiplication games and division games. This site's target audience is preschool through 4th grade. 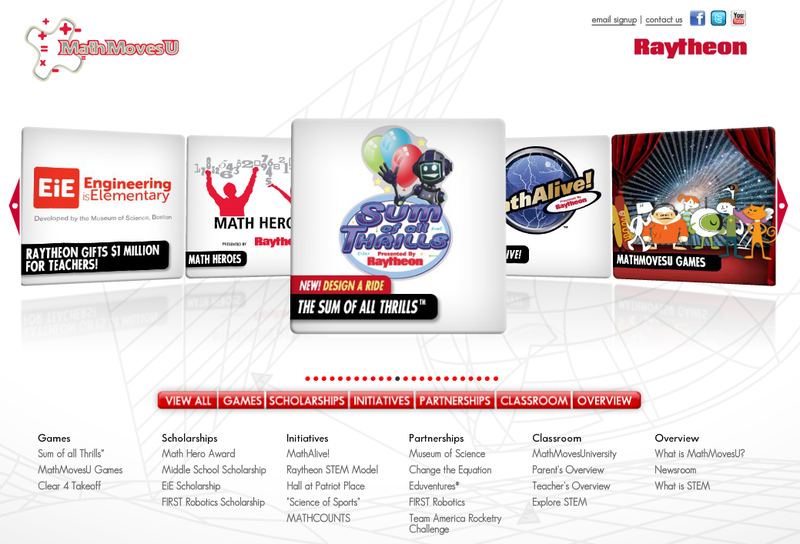 This website contains a wide range of features including games, video lessons and online quizzes. They also have bot printable and online worksheets that help strengthen math concepts. Their resources target students K - 7th grade. 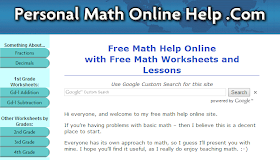 Personal Math Online Help is a website with math resources for grades K - 4th. Their site contains lessons, games, worksheets, and printables for addition, subtraction, multiplication, and division. 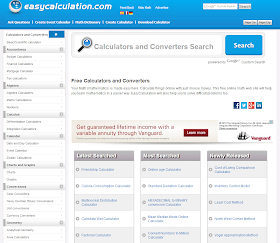 The site also contains tables, conversion charts, and online calculators. Math Concentration is a terrific resource to help students of any age improve their math skills. 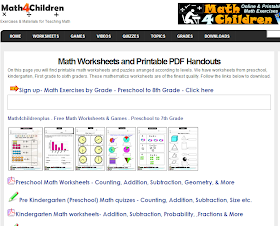 They have math games, challenges and printable worksheets galore. Their most impressive feature may be their library of over 1500 video tutorials on a wide range of math topics. Navigation on the site is simple. You can choose on of their resources along the topic or choose the math concept/subject located in the center of the page. Dad's Worksheets is an extremely useful site for parents, teachers, and students alike. 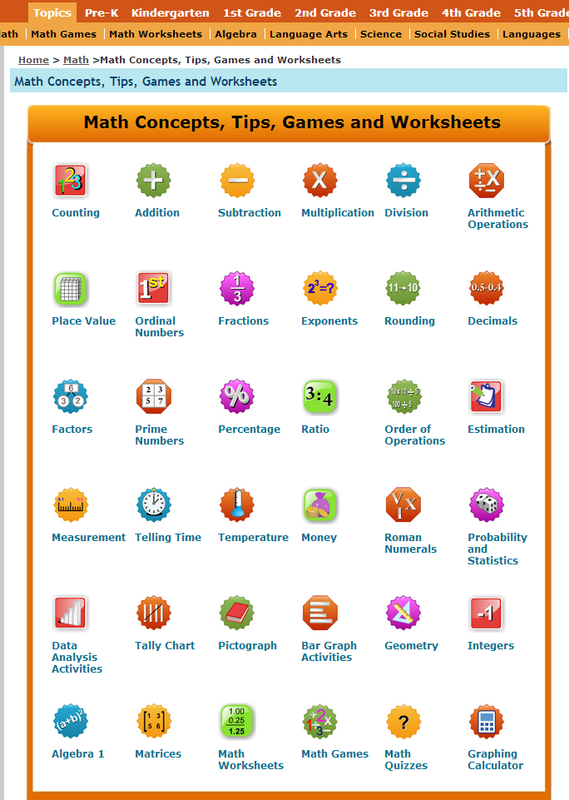 Their worksheet library has over 7000 printables worksheets for just about every math concept. The quality of their material is first rate and all of their resources are 100% FREE. Annenberg Learner is a powerful educational website that I shared over a year ago. 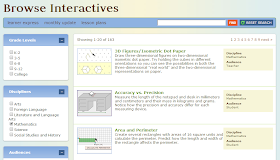 For math teachers and students the site contains large collection resources including math lesson plans, and video tutorials but their most impressive feature is their collection of over 160 challenging interactive math problems. All the resources found on the site are sorted by concept or by grade level and range from Kindergarten to college level. 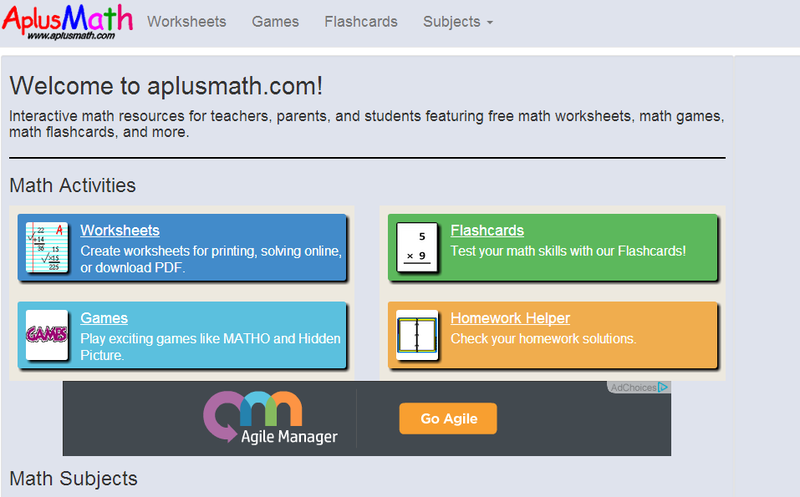 If you are looking for a website that has engaging math resources then this website is for you. 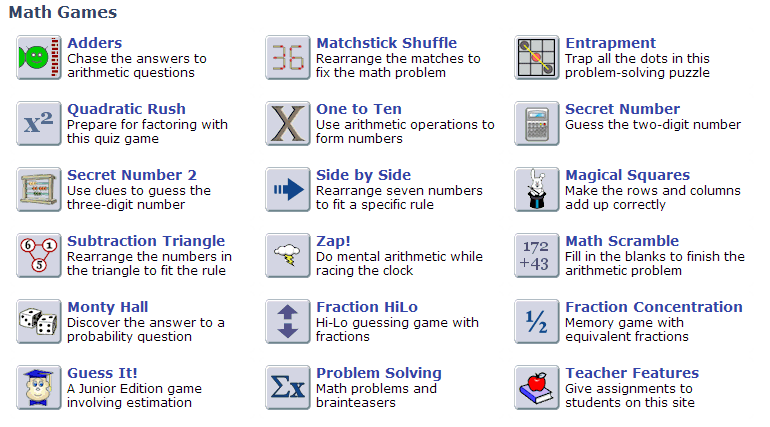 Kids Math Games Online has a huge selection games and activities that help make learning math concepts more enjoyable. They have lessons, games, videos, quizzes, worksheets and printables for learners of any age. The Problem Site features a wide variety of educational games that test the players math and verbal abilities. Their games are categorized on the tabs at the top of the page. 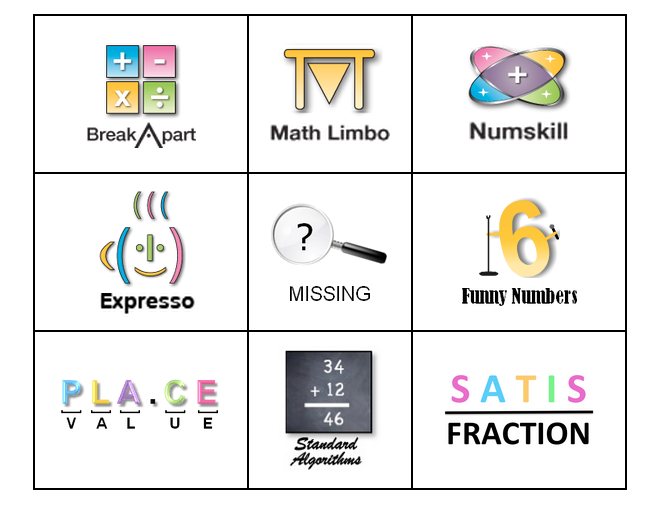 Their math 18 challenges are targeted toward a variety of ages and their is also a small selection of games for younger children. The site also offers printable math sheets and lessons on various math concepts. 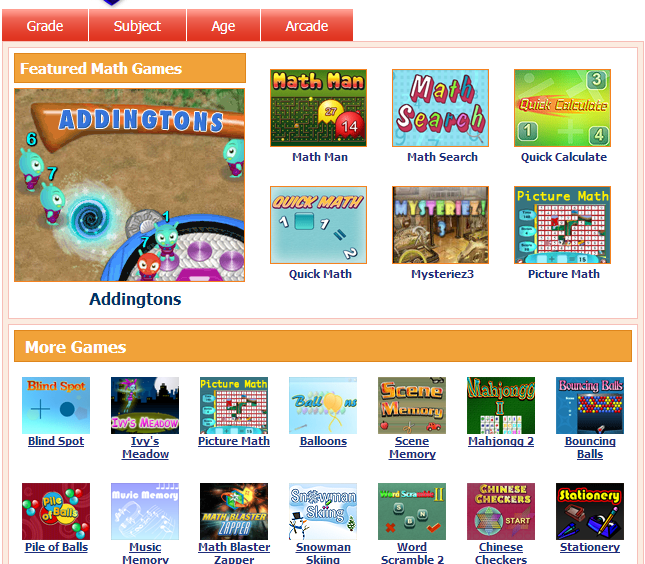 If you are searching for math based games then look not further than Hooda Games. 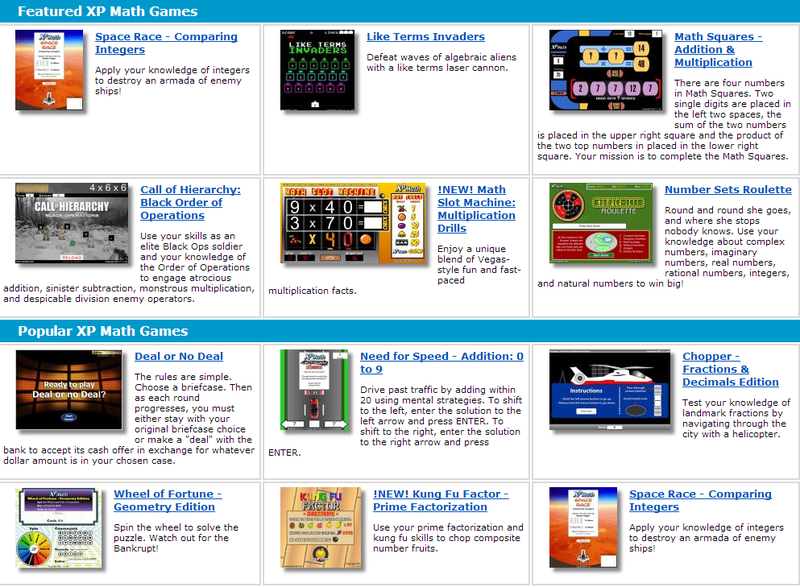 They have dozens upon dozens of math games for kids of all ages. Their huge games collection can be searched by math topic or by grade level. 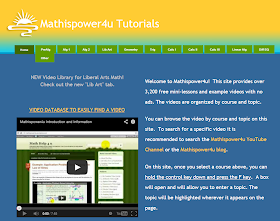 The site also has a nice selection of math tutorials from the site's You Tube channel. Get the Math is a site dedicated to algebra in the "real world." Visitors to the site can watch videos showing how math is used in music, fashion, video games, restaurants, and other professions. You can also try interactive challenges that are related to those careers. 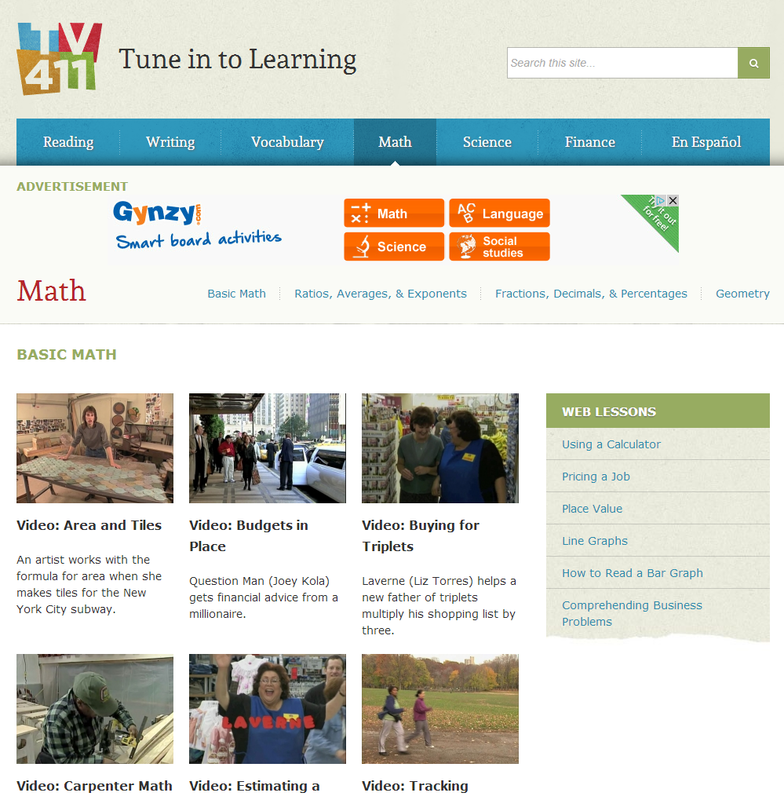 TV411 offers videos lesson in math and a variety of other subjects. The lessons are grounded in real world applications to show students how math will help them outside of the classroom. Along with the videos, the site also offers worksheets that can be downloaded and printed. 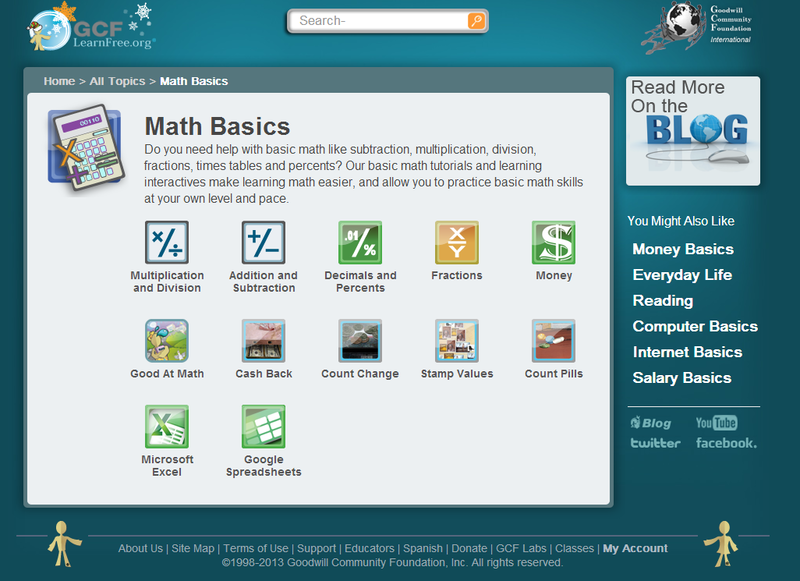 GCF Learn Free offers a collection of math lessons for younger learners on basic math, percents, fractions and money. Each lesson contains examples, videos and quizzes to check understanding. GCF Learn Free also has a math based game that students can play. Toy Theater is a collection of activities for young learners preschool to third grade. Their activities are all game based with a focus on strengthening basic math skills. Toy Theater is a great website for teachers to use to help reinforce math concepts in a fun and engaging way. 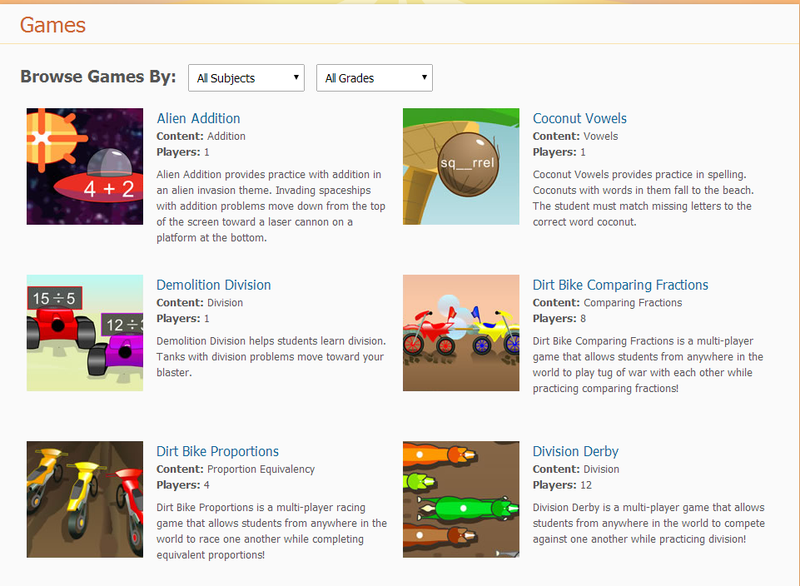 Math Slice offers a wide range of learning opportunities for many different levels of learners. 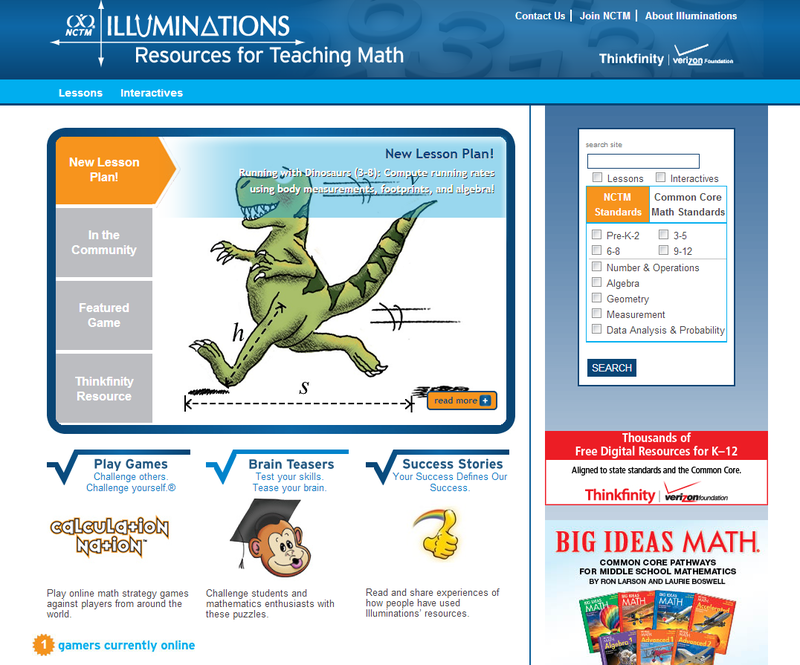 Their page is overflowing with lessons, games, and other activities to help strengthen math skills. They also have math online worksheets, quizzes, and other forms of materials to help math students. Absurd Math is a game that consists of a series of interactive mathematical problems. At each level players have to complete a set of math based tasks that increase in their level of difficulty. Each challenge is identified as an episode of which there are currently four. Absurd math is an ideal game for middle and high school level learners. Math was always a struggle for me in school and it still gives me nightmares. If only there was a site that could help me with difficult problems and show me the step by step process afterwards. It would be awesome if this site could help struggling math students with basic math, algebra, trigonometry, and even calculus. To top it off, it would be fantastic if this site had a worksheet generator for teachers. Well such a site does exist and it is called Mathway. 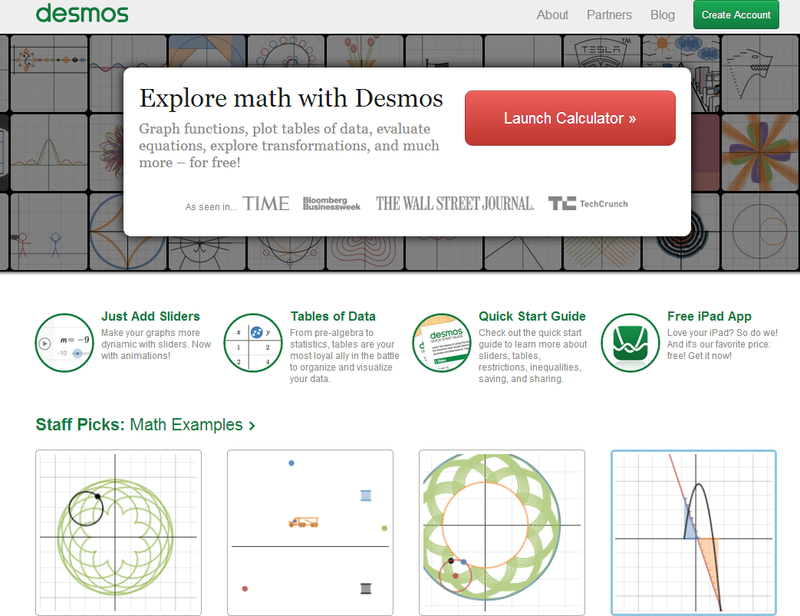 This site is just what math students and math teachers need. My long nightmare has ended. 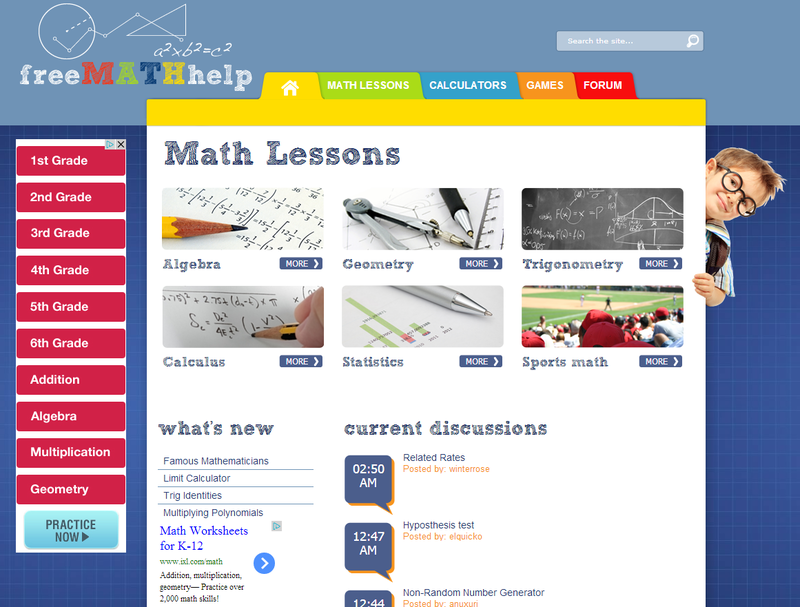 Free Math Help offers a variety of free tools to help students with Algebra, geometry, trigonometry, calculus, and statistics. The site has a simple interface with color coded tabs identifying their four categories which are lessons, calculators, games, and forums. 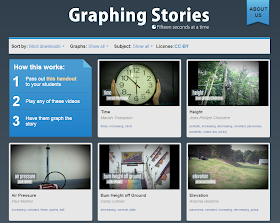 The sites over 100 lessons are easy to follow and include examples to help learn the concept. 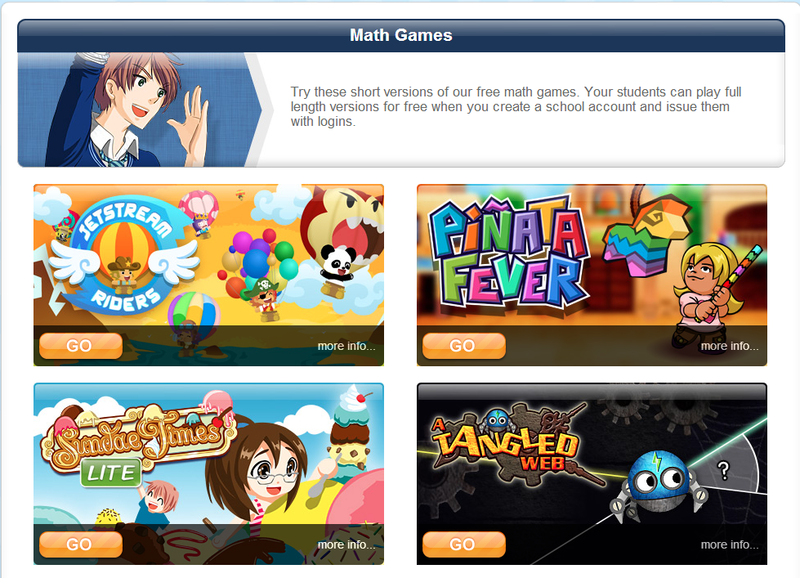 The site also includes five calculators as well as four games which are targeted for younger math students. 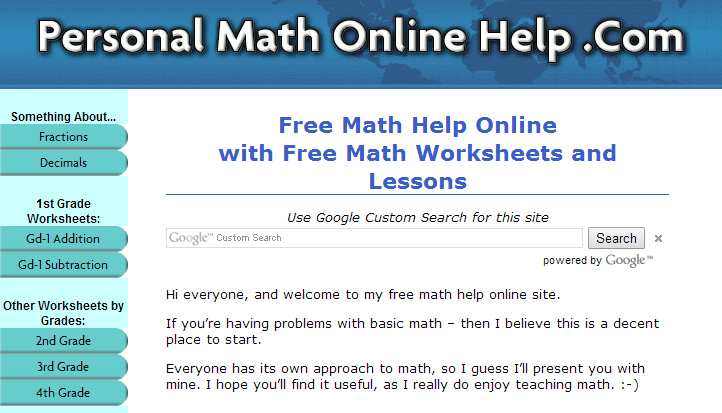 Free Math Help is a useful resource that parents and students can utilize to help with learning. 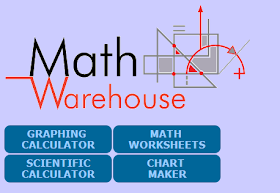 Math Warehouse is a web portal that offers a variety of tools and resources to support math teachers and students. 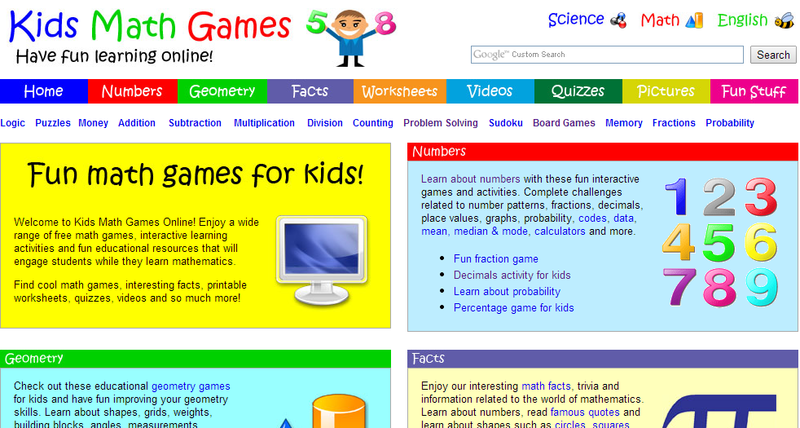 The site has a wide array of math games as well as an interactive practice page. There is a section dedicated to printable math worksheets that are free to use as well. The site also has a large collection of lessons for various math concepts and levels. To top it off there are two different online calculators that students can use. 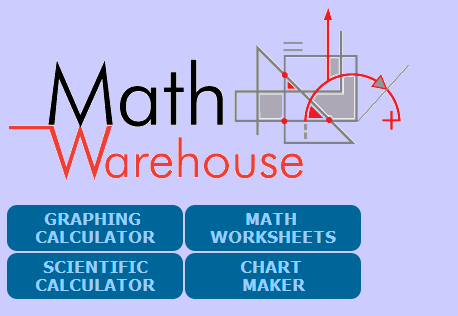 Math Warehouse is another great resource for students, parents, and teachers to utilize to help support learning at home and in the classroom. Math 10 offers a wealth of tools and resources that is incredible. 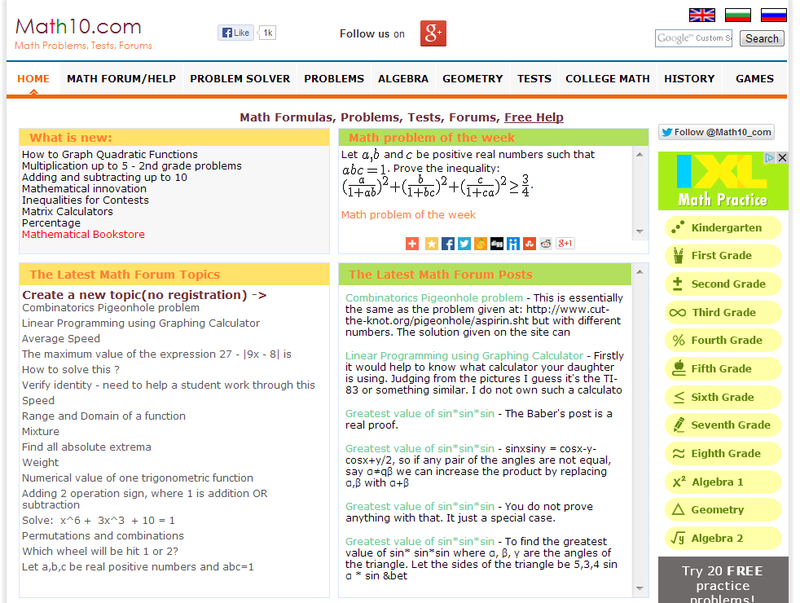 The site explains math concepts like a text book and has sections to do practice problems and practice tests. There is a scientific calculator and there is a math games sections. It also has discussion boards, a section about the history of math and two universal problem solvers. Math 10 is certainly worth bookmarking if you are a math teacher or student. 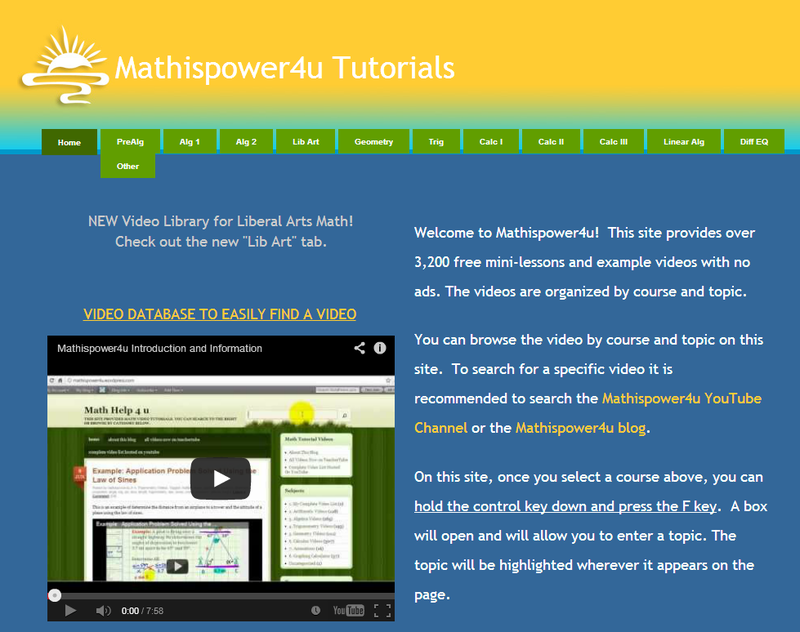 Mathispower4u provides over 3,200 free mini-lessons and example videos that are connected to the site's YouTube channel. The video tutorials are organized by course and topic and range from basic arithmetic through calculus III and beyond. The videos with the yellow background are mini-lessons. The site also includes videos for both financial and medical fields as well as SAT prep. 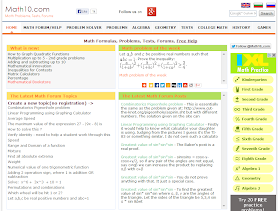 The site also offers links to other math resources such as text books and calculators. Math Live provides video lessons for students K - 12 and is produced by LearnAlberta.ca. The lessons, which are animated, are both engaging and informative. Each lesson come with a printable worksheet and assessment as well as guides for parents and teachers. This sites animated approach to math may seem more user friendly to students of any age. 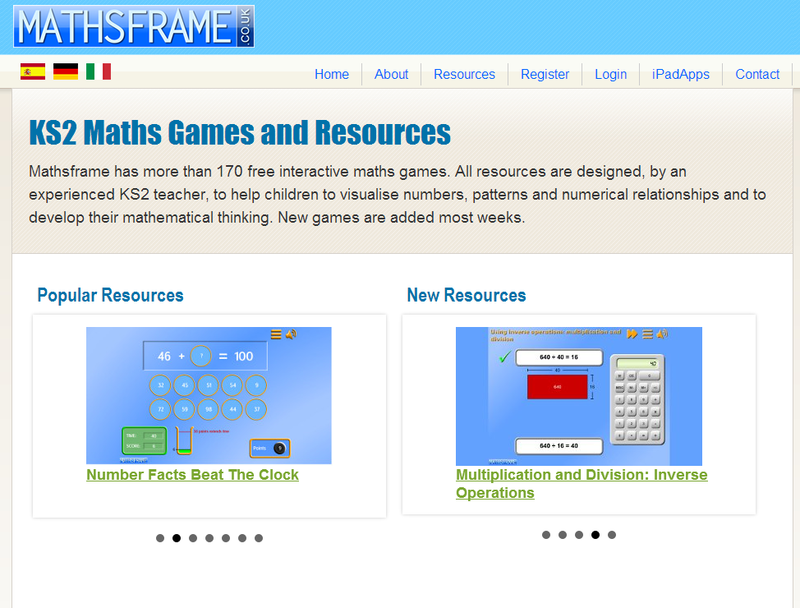 Mathsframe is an educational site out of the UK that offers a wide range of interactive math games. The math level of the games is targeted toward younger students, ages 6 - 11, and includes basic functions, fractions, decimals, and percentages. Students outside of the UK may find the money category confusing since it is done in pounds, not dollars. Many of the resources are free to use but a paid subscription is required to use all the site has to offer. 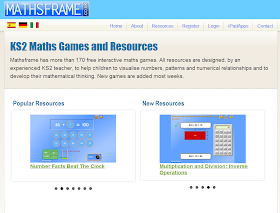 Mathsframe is a good support tool for students, teacher, and parents. Mathmovesu is a website dedicated to making math and science more fun for middle level students. 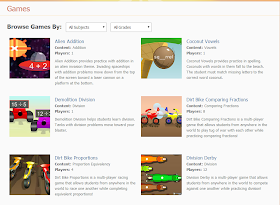 The site offers three interactive games that help teach math concepts in a way that student will enjoy. 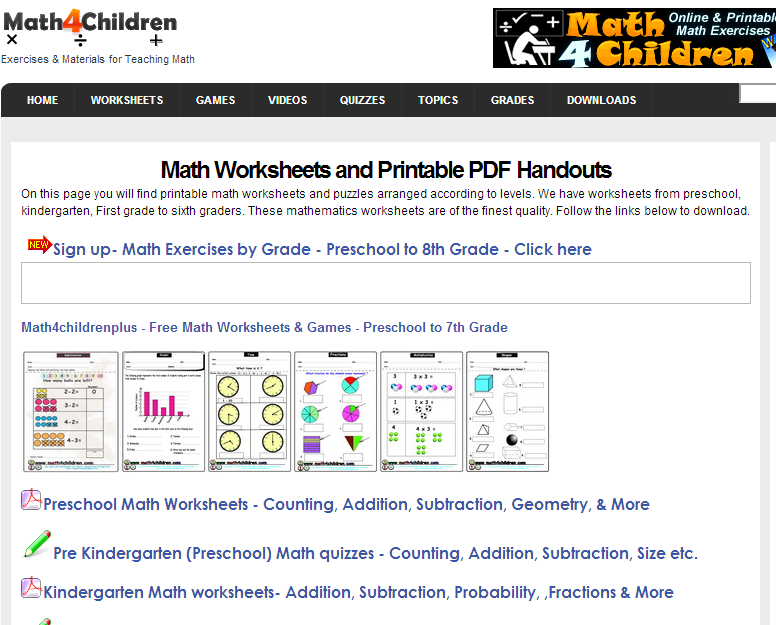 In addition to the games, the site also offers a large collection of math worksheets. While registration is not required to play the games, kids will probably want to in order to save what they accomplish on the games. 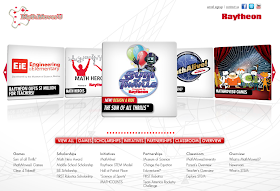 Mathmovesu is a product of the Raytheon Company. Johnnie's Math Page is rich with math content for students, teachers and parents. The site has a clean layout and is easy to navigate. 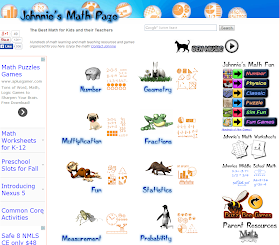 Johnnie's Math Page has games, activities, puzzles and worksheets galore and the site's range of topics apply to preschoolers on up to middle school. 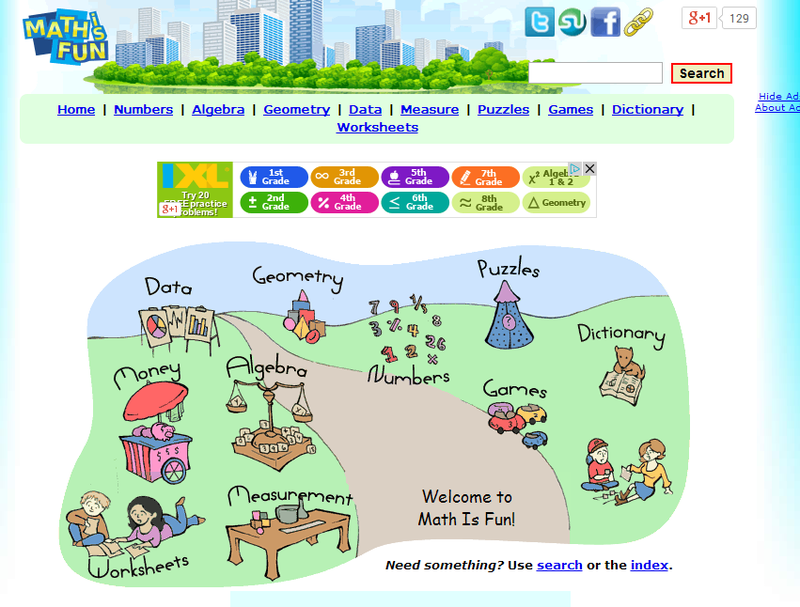 Math is Fun has been around since 2000 so the site is hardly new. Visitors will find a wide array of resources such as worksheets, quizzes, games, activities and a math dictionary. While the site's appearance make it look like it is built for younger students, they do have content that applies to secondary learners. If you haven't been to this site recently, perhaps it is time to check it out again. Another website that has been around since 2000 is the Math Fact Cafe. 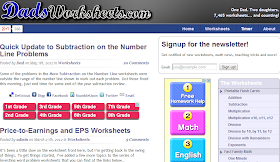 This slick looking site is a powerful worksheet generator for elementary math teachers and parents. The site offers pre-made worksheets or you can create your own by clicking a few boxes to set your parameters and presto, a new worksheet. You can also practice math facts with their flashcards and there are even games available. 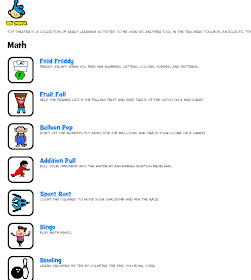 Mr. Nussbaum's Math Lab is a teacher created website containing a huge amount of fun and educational content. 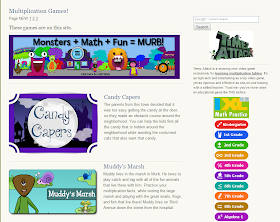 The site offers math based games, videos printables, and activities called "workshops." When exploring this site visitors have 25 categories to choose from so there is a lot to see and do. Mr. Nussbaum's Math Lab has a target audience of K-8 students and teachers. 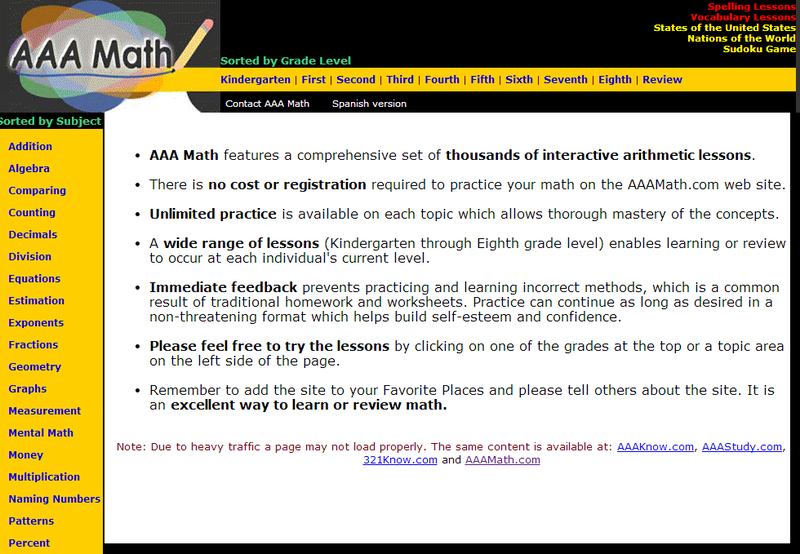 AAA Math is a site with thousands of interactive math lessons for elementary and middle school students. Each lesson provides immediate feedback for the student and each lesson set also contains a quiz so students can test their progress. To navigate the site you simply select the math topic or grade. 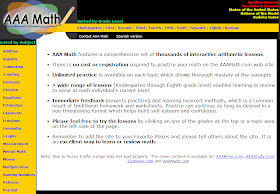 AAA Math makes an excellent resource for math students. Math-Aids is a worksheet generator that provides free printable worksheets for over 77 math topics for grades K-12. You choose your topic and are presented with previews of each worksheet. Every selection also give you the option of printing an answer key. 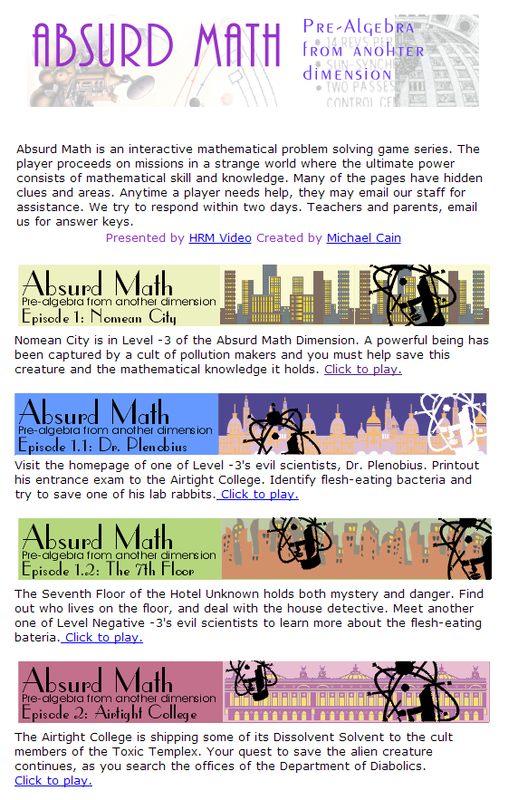 Math-Aids also has a selection of math videos by going to their educational videos page. 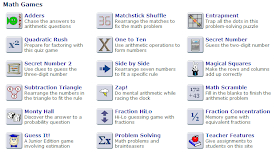 Math Goodies offers a wide range of resources for math students and teachers. 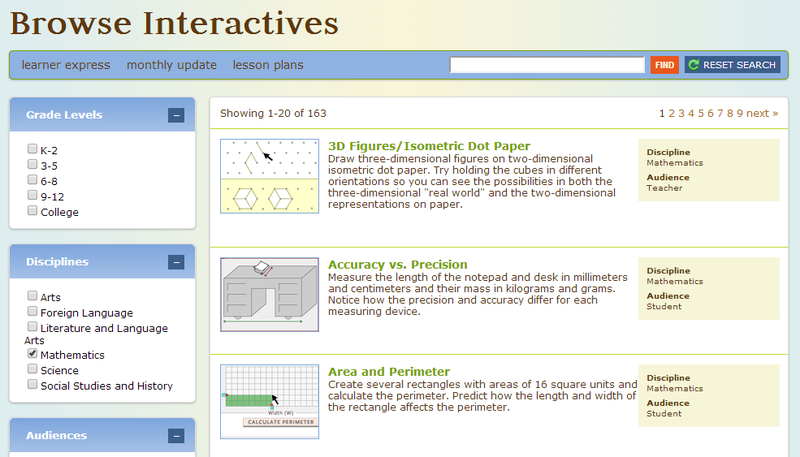 Visitors can find interactive lessons, a worksheet generator, games, puzzles, calculators and more. Navigation is done by using their search bar or by clicking one of the categories just below their search bar. Math Goodies has been around since 1998 and if you haven't been here recently, it may be time to check it out again. If you are looking for a great source for making math fun then Math Play could be your answer. 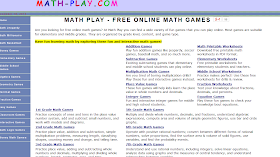 Math Play has a wide variety of fun math based games that can be played online. The age level for most games is from elementary to middle school levels. All games are organized by grade level, game type or by content. 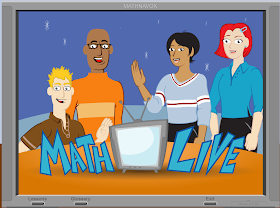 Math TV produces high quality tutorials for math instruction. The videos are sorted by topic and often have several videos by different instructors and video instruction is in both English and Spanish. The site offers additional services with a paid subscription. 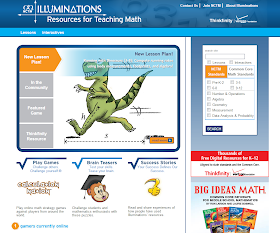 Illuminations is the product of the National Council of Teachers of Mathematics and features a nice collections of resources. 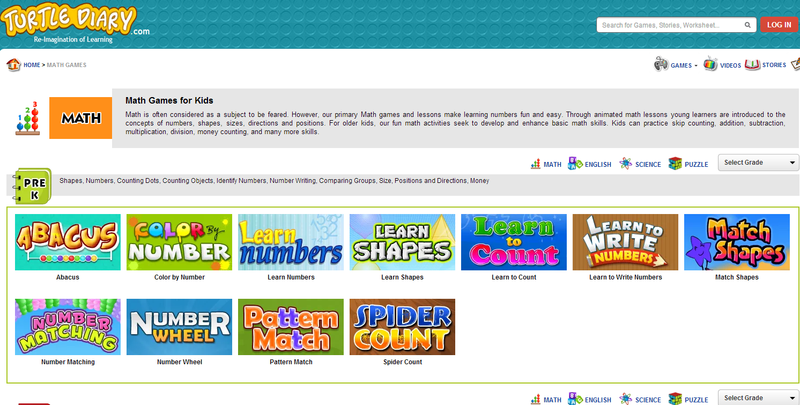 The site contains over 700 lessons and activities to help students better understand math concepts. They also have a game section with more than a dozen games that allows players to challenge the computer or other players. Soft Schools is a great math website where you can find worksheets, games, and quizzes to help students improve their skills. Their extensive collection of resources are good for both elementary level and middle school learners. The site is very easy to navigate as everything can be accessed from their home page. Math Drills offers thousands of math worksheets that can be printed and used in the classroom or at home. Their extensive selection is categorized by topic and it is easy to find what you are searching for. Each worksheet also comes with an answer key to ensure the work is being done correctly. 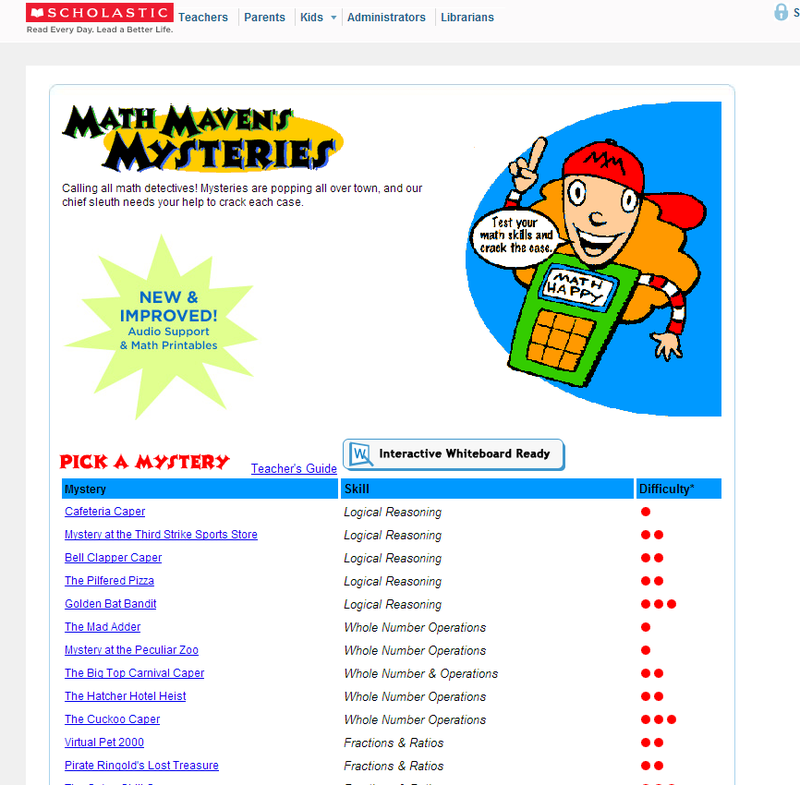 Math Maven Mysteries from Scholastic is a fun way to reinforce concepts by solving mysteries using the power of math. There are 27 mysteries and each is categorized by concept and level of difficulty. Each mystery is supported by printable sheets as well as audio to assist with new and struggling readers. Thank you for putting this together. What an incredible resource! 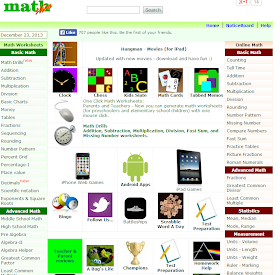 You have shared superb list of top math websites which are helpful for me. You done excellent job. I appreciated you for this job. Keep it up. Actually, I'm searching a math website of my Kids, I found 4th Grade Math Practice website and then this website,both are useful for me. Thanks for sharing your knowledge information, Its very best technique to improve the math skills. Keep on posting the information regarding math class. Do you need math tutor help ? We will provide you the solutions of College level maths with proper guidance.Get it now with our expert tutor. Cool list! I found a quickie free math test creator at Knowledge Mouse. 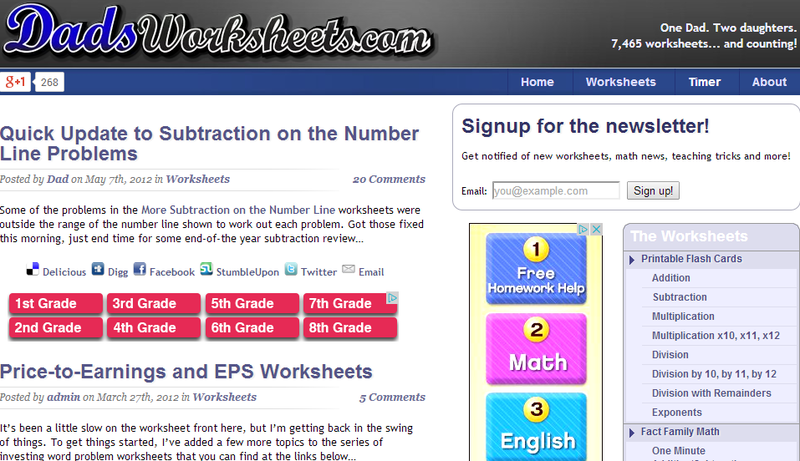 It lets you choose which operations (multiplication, subtraction,...) to use and the number range. 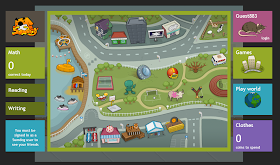 They also have a math game at the site, and some other random things like an animated math pictures section, a word search puzzle creator etc. Your always article most unique,, Great information Thanks!! Nice blog. I am really thankful to you for providing such a nice information. Keep it up. A big thanks from my side. I am a student in Australia and currently I am looking for melbourne english & maths tutoring services. Am gonna bookmark this website because all these websites will be helpful for me in future. Whether you are teaching fractions, algebra, geometry, or statistics, then there are lessons and tools for you. Really useful blog for students looking for math help online. Very well put together list of math resources, for students, parents or teachers. Some of the sites I had already heard of or used in the past. Many I have not. Thanks for the compilation. Great list. Ultimate Maths is also a great site for learning maths. Awesome post. Was really helpful. Keep Posting. I agree with the title of this blog that learning never stops. In a nutshell it is a continuous process even when we are not formally in school. Additionally, this blog provide important information about the mathematics subject and I am sure it will help a lot of students and teachers to study the subject effectively. Students in this forum can access our writing services by clicking on Research Project Lit Review. Thanks for providing the list. It is really cool and helpful so many website at one place, you must have done some deep down research. Free Internet Learning-If you are looking for a free internet learning course, there are a number of factors to consider assessing whether it is worth the investment of your time. These embrace the course structure and delivery mechanisms, the course trainers themselves, and therefore the means during which you may be supported through the course. All of those ought to be reviewed inside the context of your own motives for learning and most well-liked learning vogue. This post is really nice and informative. The explanation given is really comprehensive/ and informative. I am feeling happy to comment on this post. My proposition is http://aztekium.pl website. Many educational programs for children. My proposition is boom beach mod apk download link. Find Best Python Certification Classes in Pune . Really nice post. Thanks for sharing that with us. I am sure these websites will be really helpful. This information allocated by you is genuinely resourceful and merely be considerable for many seekers. Keep up with this great work. Continue blogging. One can speak and practice English in an effective way, just by downloading English Learning App on your own smartphone, which you can use whenever and wherever you want to practice your communication skills with experts. I have played all the windows based games and once i have commodore 8 consoles but now i don't have time to play all these things because hiring assignment writing services | Assignment Due is working so hard to get the homework done on time. Thanks for sharing such a nice blog with full information, we are looking forward to see more blogs in future. Here you can learn Natural Numbers, Maths Guide For Class 8 with this free video tutorials. 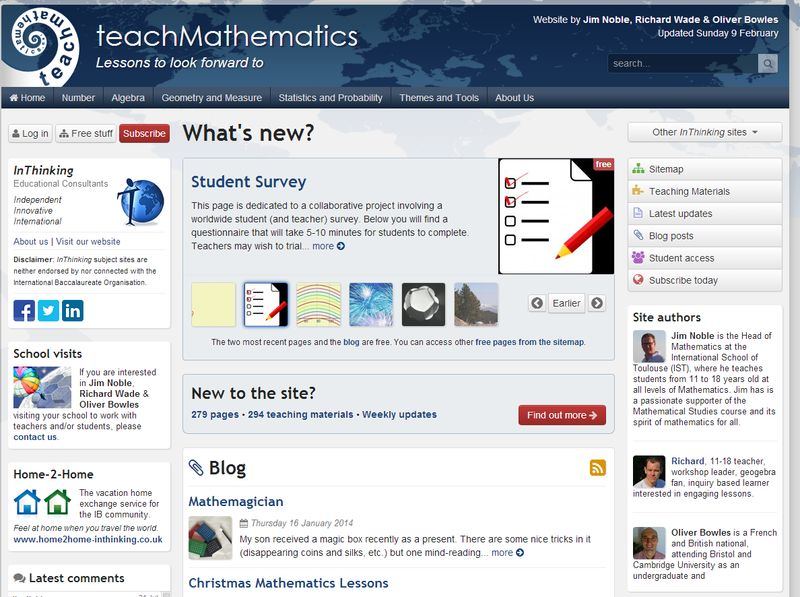 It really impressive for the students who are looking a good website for math learning. Cake Baking Classes in Chennai which would make you more and more simpler making delicious stuff available over the individual. these are surely the best websites for learning maths. Tuition at home is also one of the best online app for any subject.you can download the app from google play or visit tuition at home website. Analytics is the piece of math that understudies find most troublesome, and experience difficulty understanding. Secondary school understudies consider the nuts and bolts in precalculus class; be that as it may, in case you're contemplating it in school, you will do it in considerably more detail. Thanks for sharing such beautiful information with us. I hope you will share some more information about mathematics assignment help. Please keep sharing!